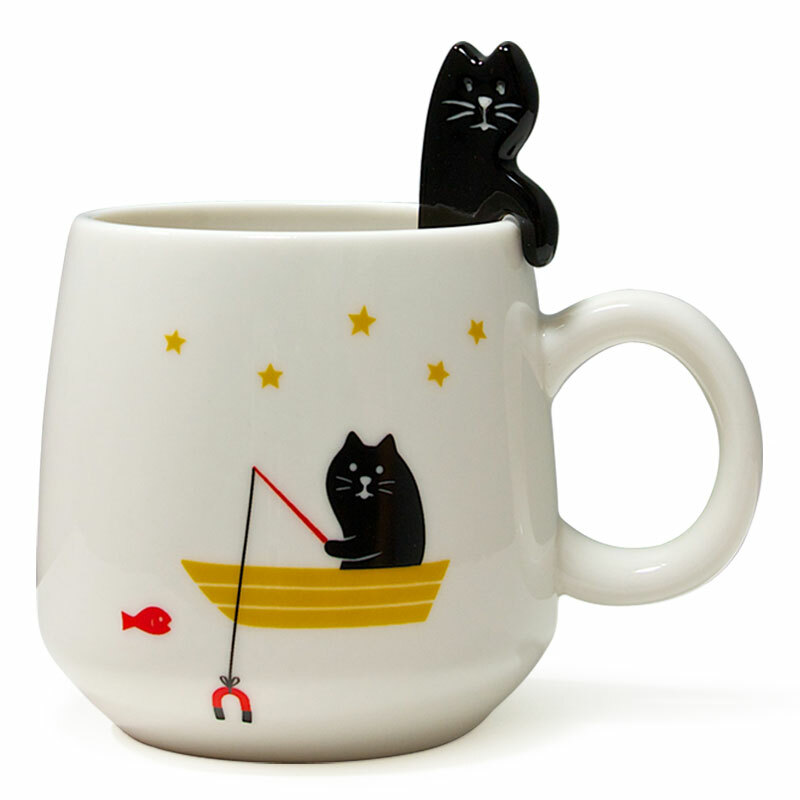 If you were a cat and didn't have to work for a living, wouldn't you just fish all day too? One more KAWAII!! (CUTE!!!) item that you can add to your collection. 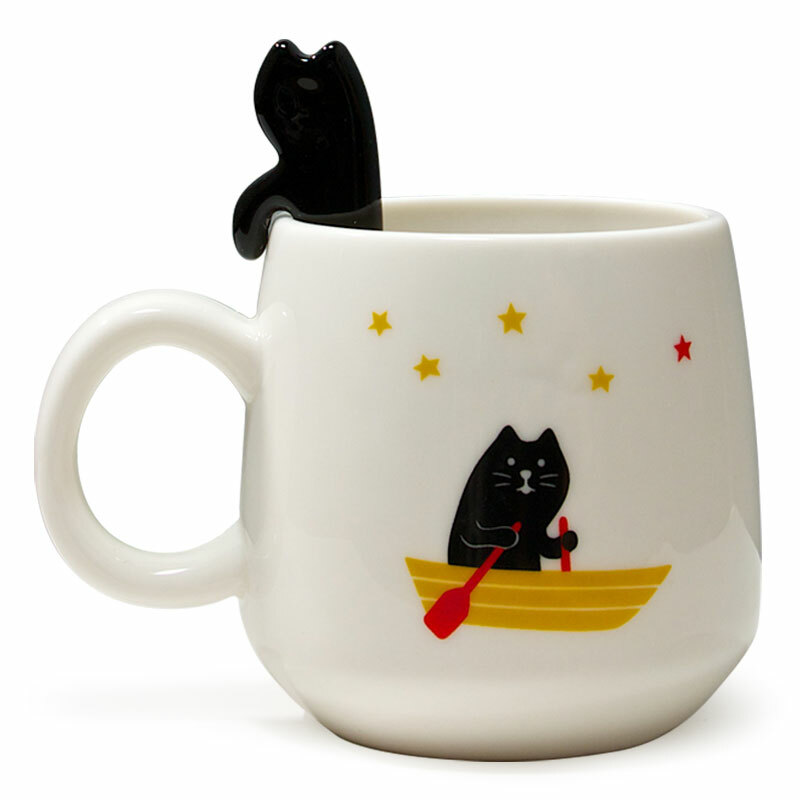 Comes with matching black cat spoon! Handwash recommended. Designed in Japan by Decole Japan. Made in China.